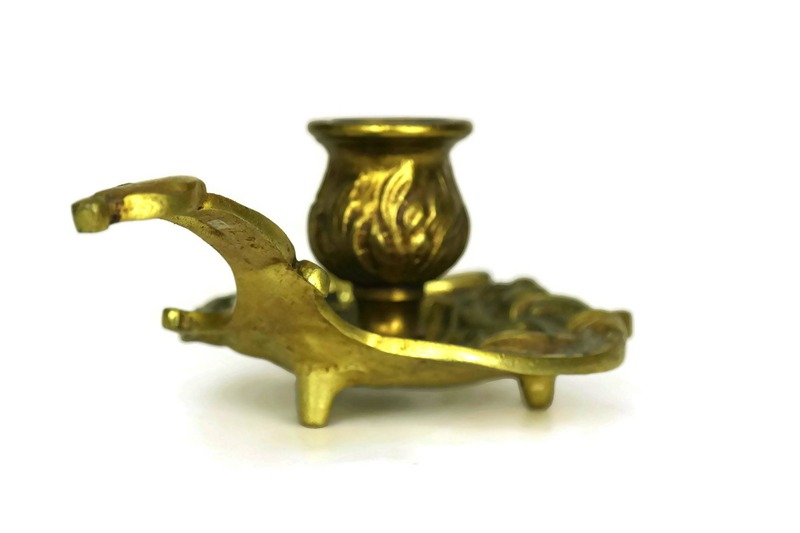 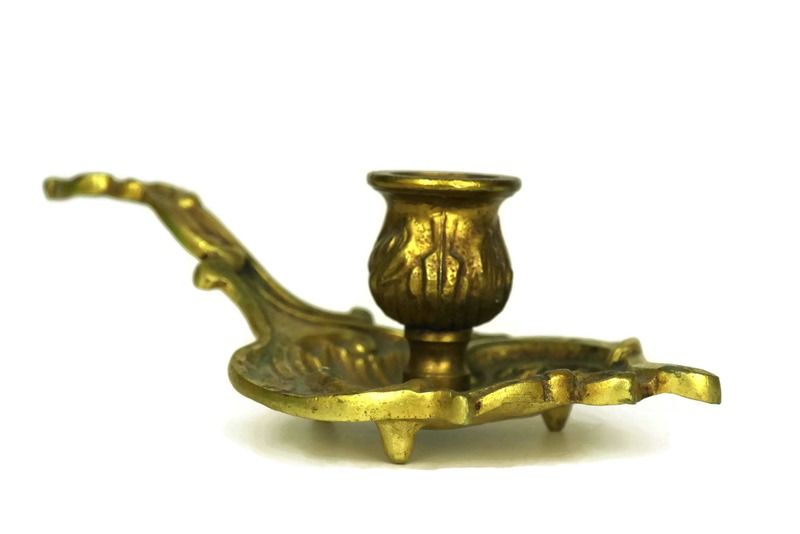 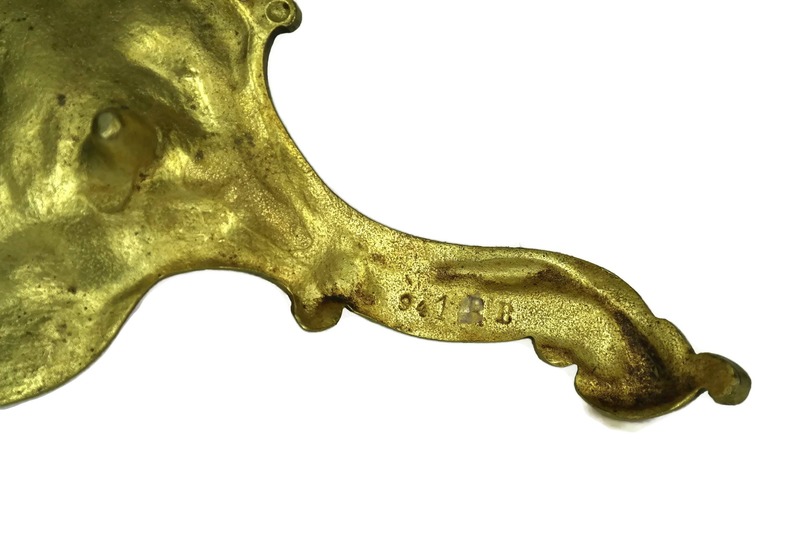 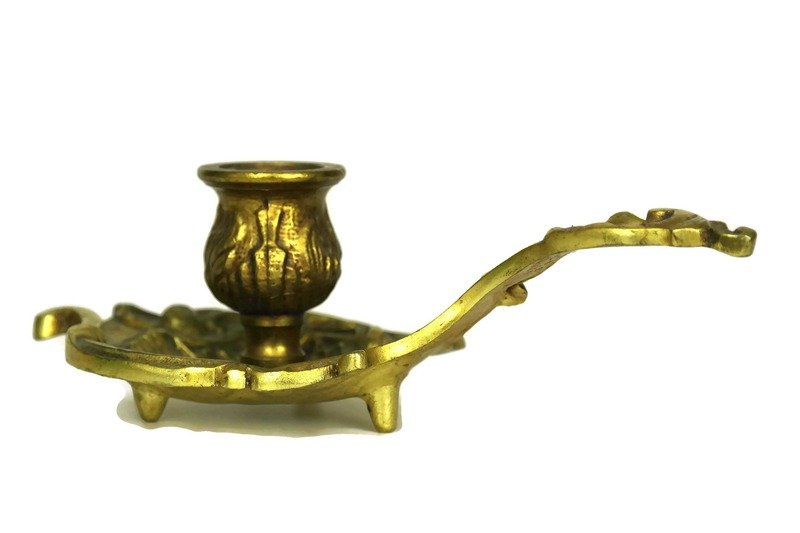 An elegant French antique brass candle holder dating to the early 1900s. 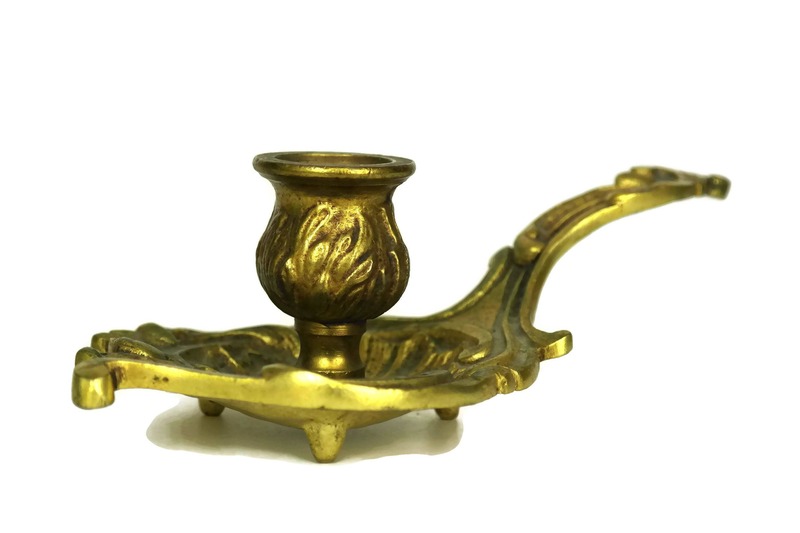 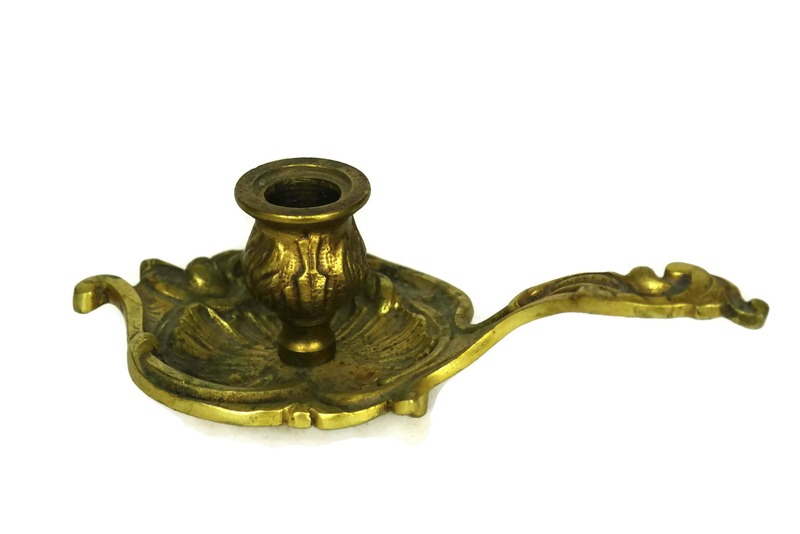 The chamberstick has been cast from solid brass and decorated with a rich ormolu finish. 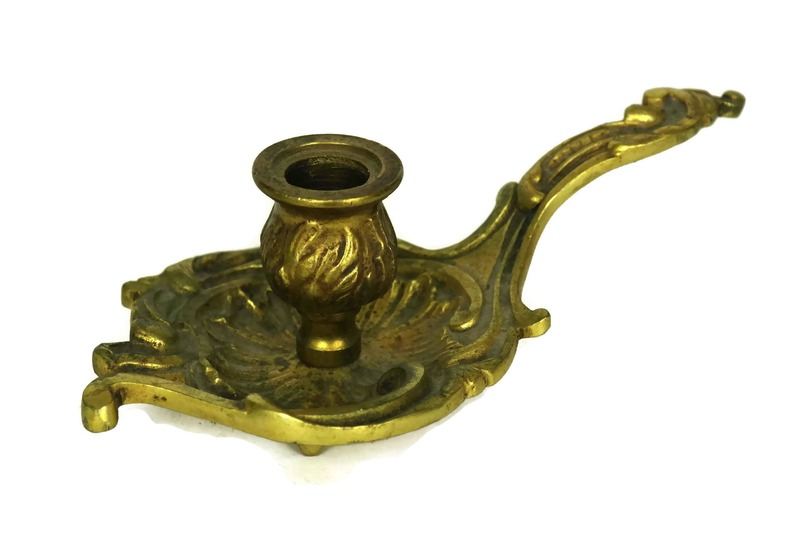 The candlestick features an ornate rococo design with a carrying handle and large candle cup. 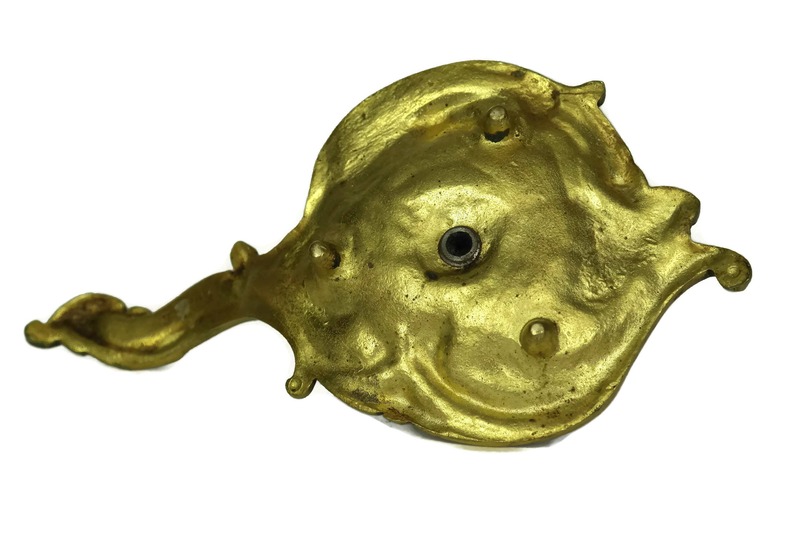 A hole has been made in the base to allow for the addition of an electric light bulb fitting. 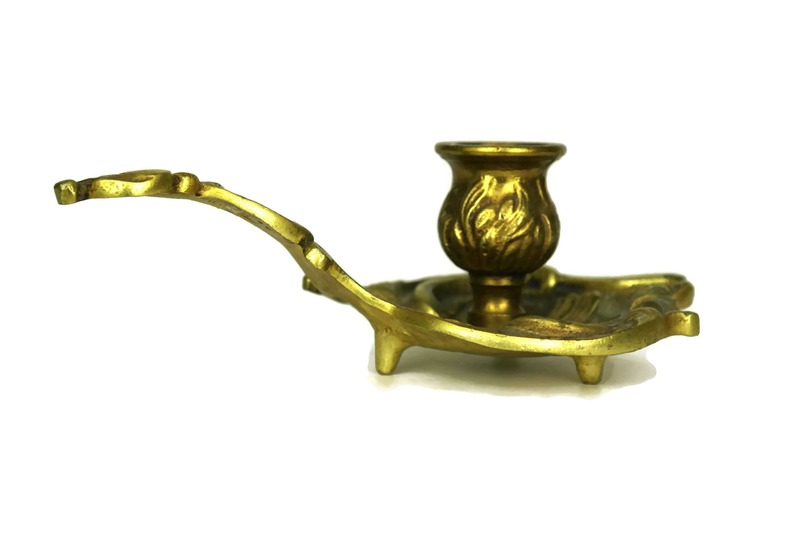 (20 cm x 5 cm x 9 cm). 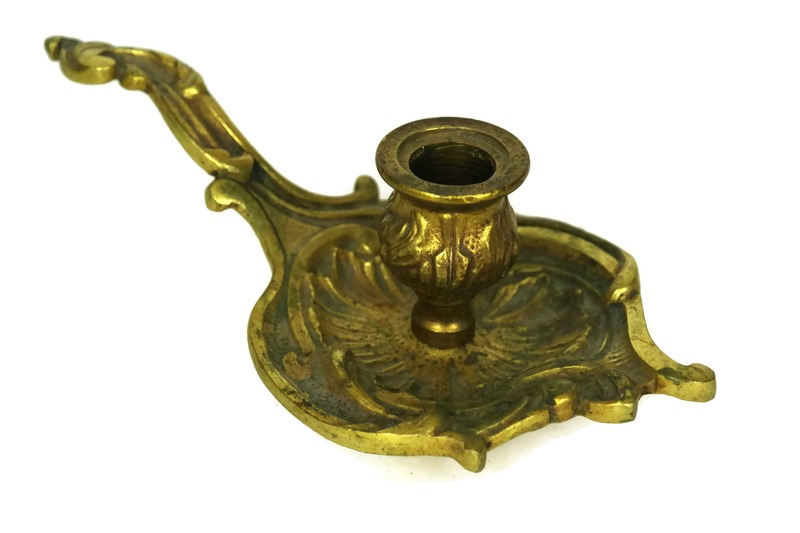 The French chamberstick is in very good condition with light surface marks and wear.